There is no reason anyone need be left out during murder mystery parties, no matter how young or how old they are. As well as activity packs for children, we’ve been known to assist when it comes to dyslexic readers, partially sighted and those who are hard of hearing too – providing more information within booklets to avoid the “CD listening” problem, enlarging the print, simplifying the language, putting text into 1st person and even providing booklets in MSword to allow it to run through a braille typewriter. 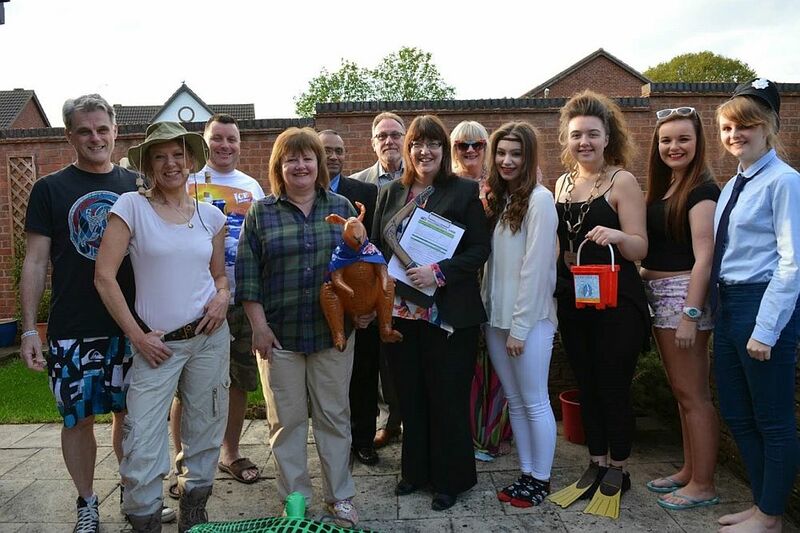 Jo Smedley, Managing Director of the firm used to work full time as an Occupational Therapist – which means she has a long history of working with people with various disabilities trying to make them as independent as possible. This core skill means she is always willing to be flexible and try and accommodate the needs of all our customers as much as we can, and she’s often available to chat through individual needs for event management or private parties to ensure the game materials are suitable for the people taking part. With the ability to custom write games to order, it’s possible to create roles that everyone can enjoy whatever their age and ability. But if you haven’t the money for a custom written game, Jo understands the games so well, she can often provide helpful ideas to enable you to find the right kit and even adapt kits yourself to get the best fit for the budget you have available. While we work with people of all ages, it’s often children that prove the most challenging to integrate into murder mystery games due to their limited attention spans and varying reading abilities. 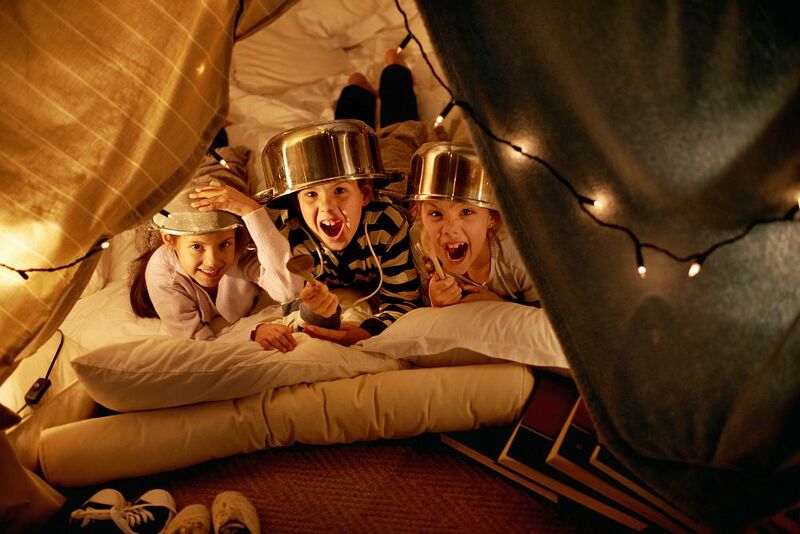 Fortunately there are numerous ways to involve children in dinner parties and they need never feel left out. We did a post towards Christmas last year explaining how to involve the children in the actual game play and you’ll find that here . So there’s no point “reinventing the wheel” – just click through to that blog post to find out more. In addition to our ideas, we’ve been asked by our customers every year for children’s activity packs to keep the youngsters entertained at the dinner table while the adults are playing a dinner party. Up until now these have always been custom produced to order, but this year, we’ve finally had the chance to create a standard activity pack and it’s already proving popular with children and adults alike. The activity pack is designed to be suitable for varying age ranges, with activities ranging from spot the difference and dot to dot challenges, to wordsearches and drawing, as well as some decoding exercises for the older children to get their teeth into. 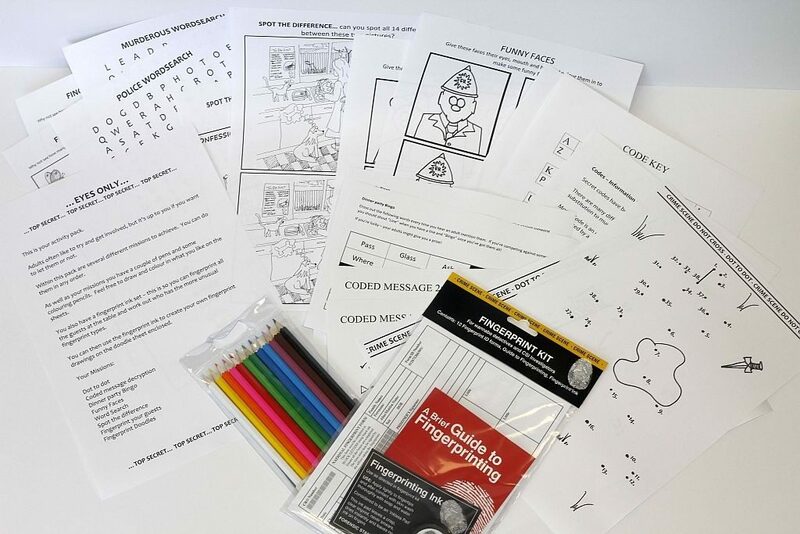 The activity pack starts at just £1 to download, but you can also ask for a printed copy which includes our popular fingerprint kit; which is both fun and educational. You can find more about it here. So with Christmas fast approaching again this year – don’t worry about how you’re going to find a game suitable for Aunt Enid and Tiny Tom. Just get in touch and we can direct you to the most suitable games and give you some ideas to make the party suitable and enjoyable for all.